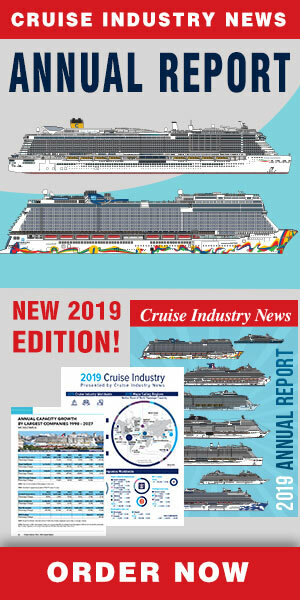 Carnival Corporation has donated a computer server equipment package valued at $31,000 to the financially strapped University of St. Martin (USM), according to a press release. The institution said it is the first significant corporate donation since Hurricane Irma. “This very generous donation on behalf of Carnival Corporation comes to us at a crucial time,” said USM president Antonio Carmona. “Since September 2017, we have been going through a difficult time and our computers and servers are running old, as are much of our other equipment which is used to prepare St. Maarten’s future teachers, business leaders and professionals. For this we are eternally grateful,” he added. Collaboration between the two entities began last July when 10 USM Education, Business and Hospitality students visited the Carnival Princess on the initiative of USM faculty member Sharon Freiburg and Carnival Vice President for Global Ports and Caribbean Government Relations Marie McKenzie. “This was a great opportunity for students to learn and see our ship first-hand and now we are honoured to be able to make a difference in the lives of students at USM, especially after the devastating results of Hurricane Irma,” McKenzie said.